Lot of three authentic vintage cotton feedsacks in the same print, still sewn up, with traces of the original contents inside! We'll leave the laundering to you - these look good, just a few spots or soil marks, and should wash up nicely. 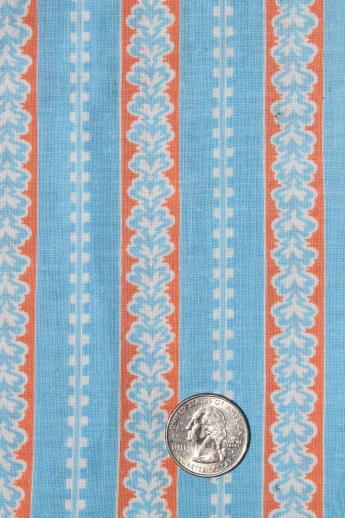 Bag size is roughly 36" x 22" (36" wide fabric, 44" long). 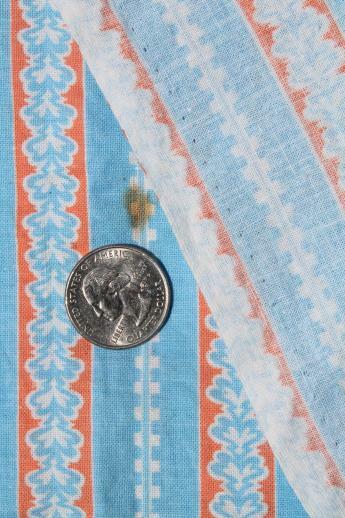 It's sometimes nice to have a quantity of the same printed pattern to use for sewing clothes, kitchen accessories and linens, quilts or quilt backings. 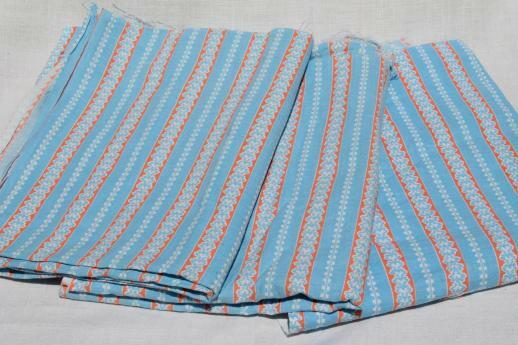 Or use these as cottage style pillowcases, just wash them and pop your pillows inside.